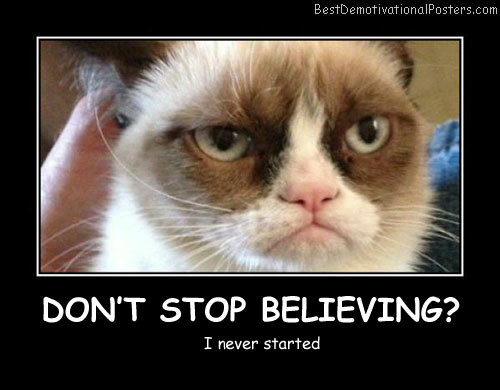 Don't Stop Believing - I never started. 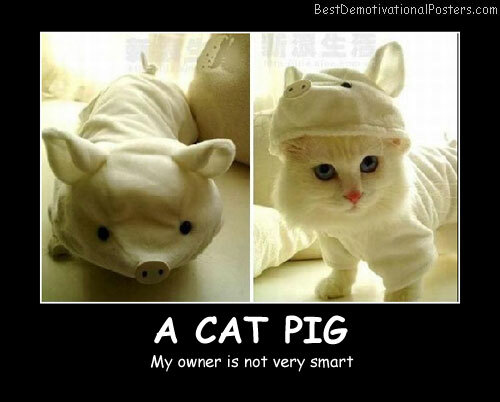 A Cat Pig - My owner is not very smart. 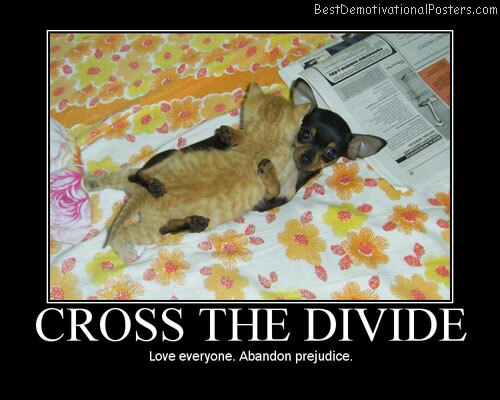 Loneliness - There is always someone around. 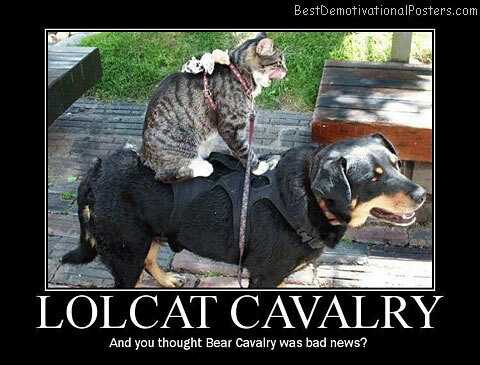 Lolcat Cavalry - And you though Bear Cavalry was bad news? 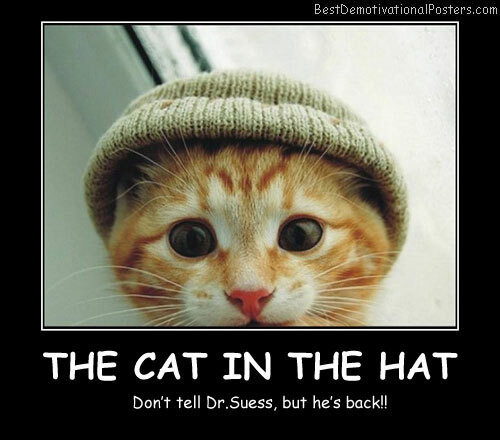 The Cat In The Hat - Don't tell Dr. Suess, but he's back!! 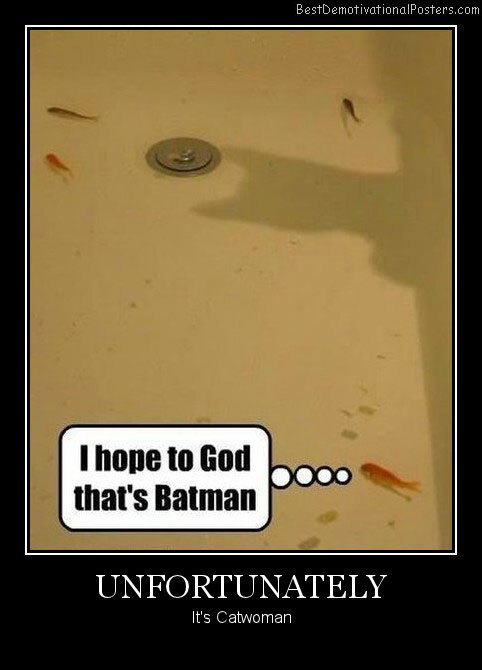 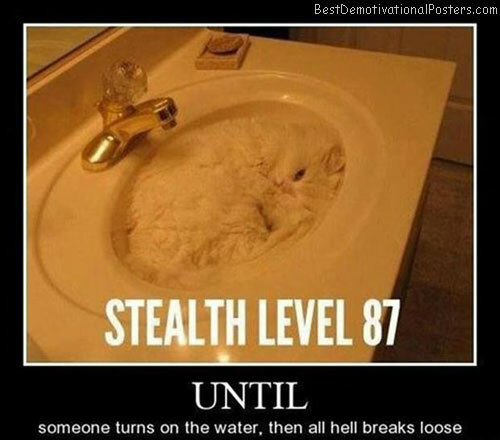 Stealth Level 87 - Until someone turns on the water, then all hell breaks loose. 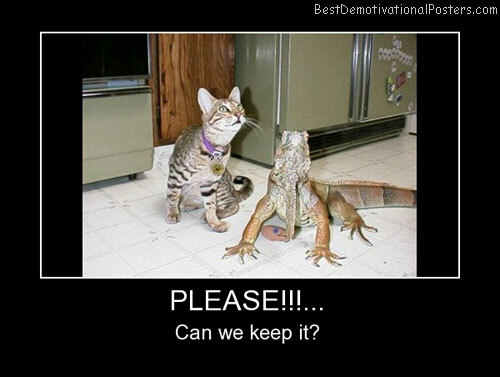 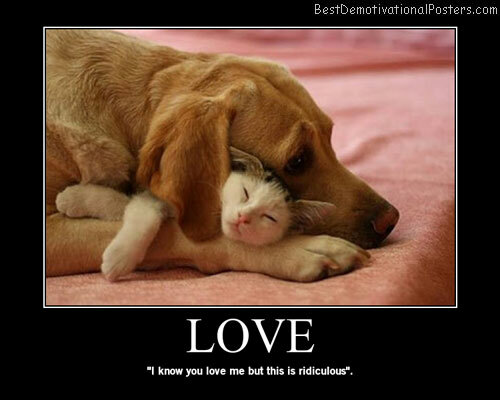 Please - Can we keep it? 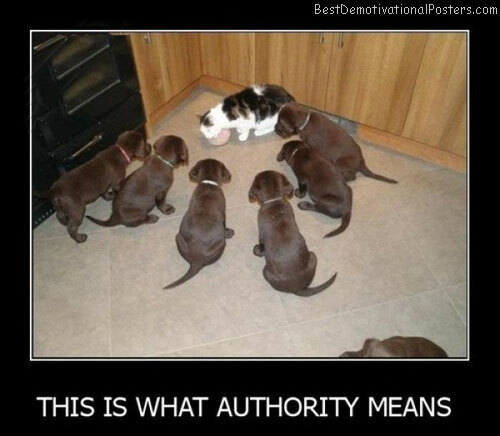 This Is What Authority Means. 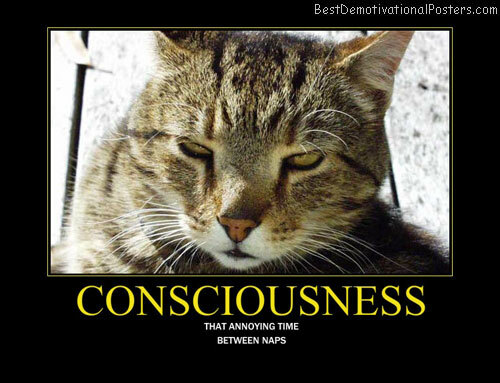 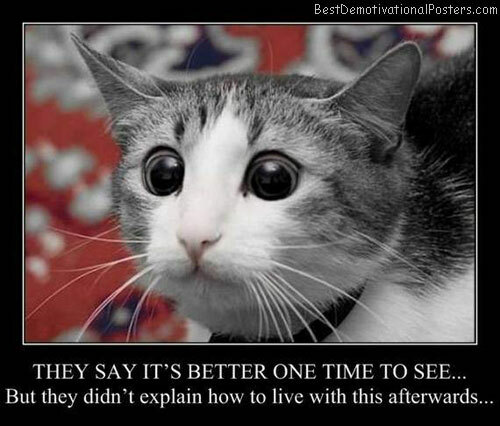 Angie Verona's Cat - Is the happiest creature on earth! 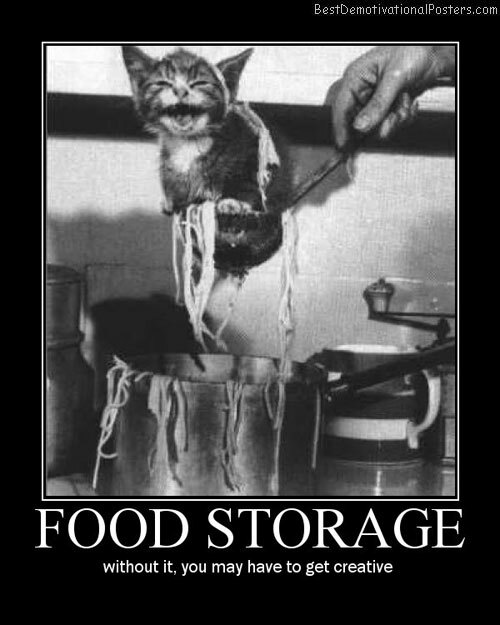 Food Storage - Without it, you may have to get creative. 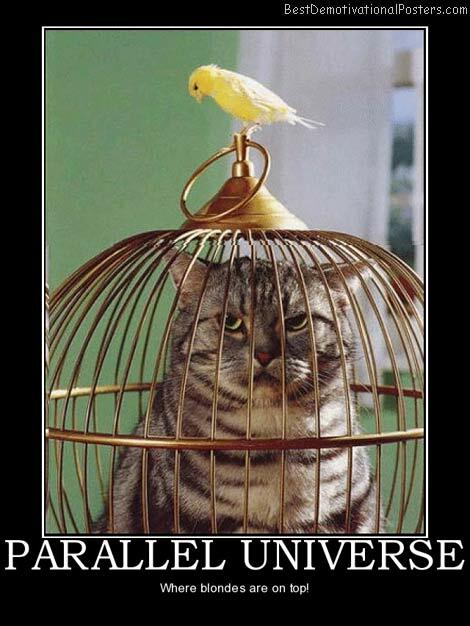 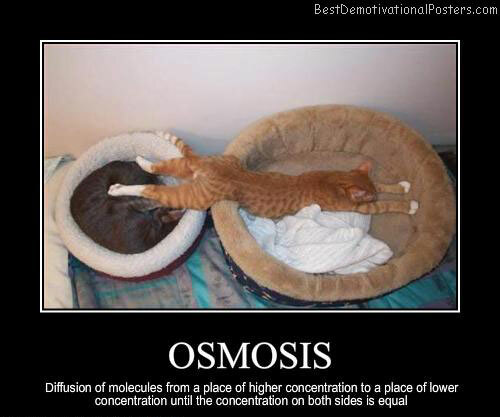 Parallel Universe - Where blondes are on top! 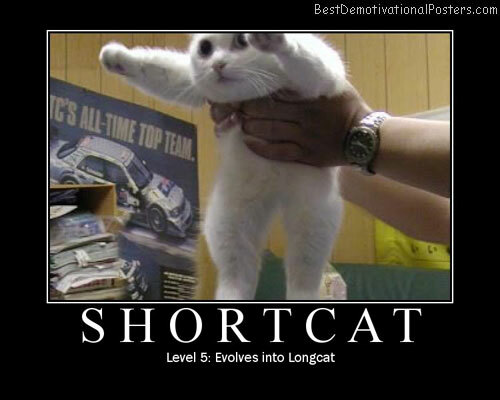 Shortcat - Level 5: Evolves into Longcat. 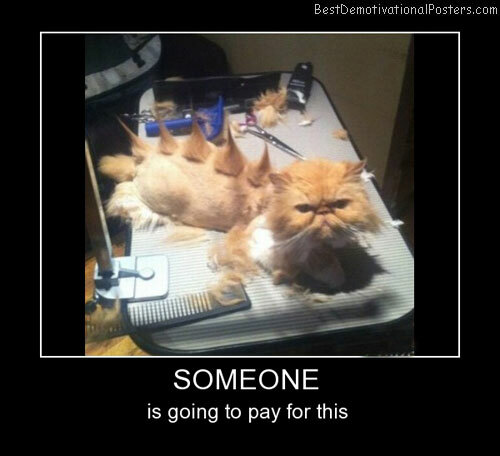 Someone - Is going to pay for this. 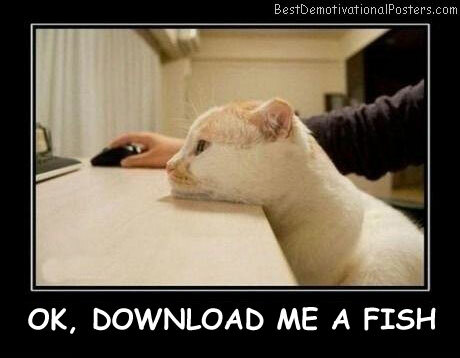 Hold Me Back! 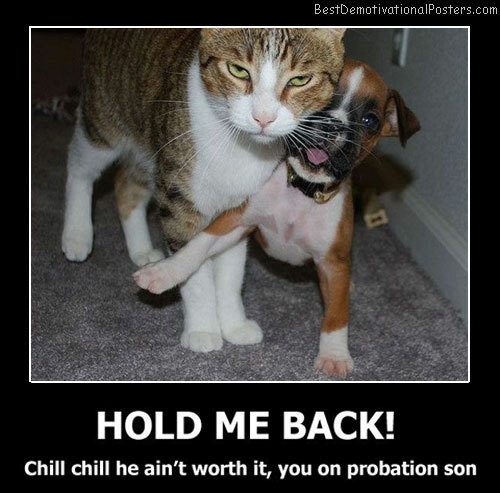 Chill chill, he ain't worth it, you on probation son. 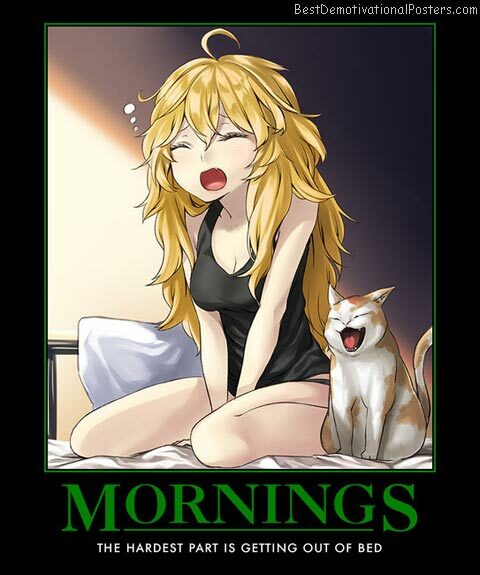 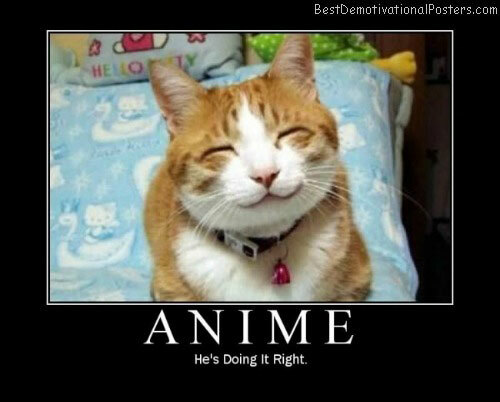 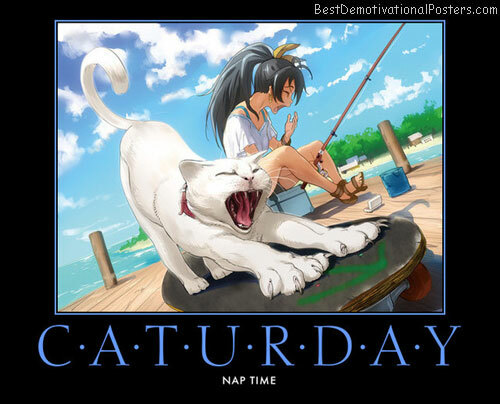 Perfect Anime Cat - He's doing it right. 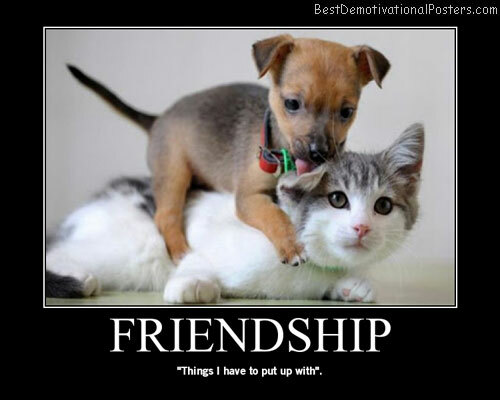 Prostate Exams - No one likes them.